Planet MuRecords has been keeping my interest and faith in electronic music alive and kicking for the last while. With artists such as Kuedo, Eskmo, Luke Vibert and Neil Landstrumm signed to it, you can imagine the man of the hour and the back bone of Planet Mu, Mike Paradinas (U-ziq), has an exceptional ear for good music. 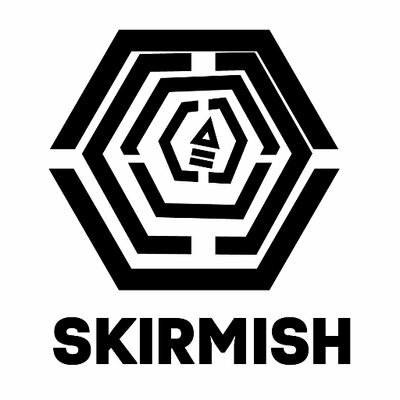 Skirmish were delighted to catch up with him before his Bangface gig and chat about loads of general music nonsense. You’ve had an interesting start to your career in the sense that you began getting releases with Virgin Records. Was there a lot of effort involved when you branched out into promoting Planet Mu as an independent label? I think I was lucky in that at the time, back in 98. I had quite a good profile from my releases on Rephlex Records and the Virgin releases such as my album Lunatic Harness which had come out the previous year. Would you regard Planet Mu as putting forward music which pushes boundaries? I regard Planet Mu as a vehicle for my own (and other employee’s) tastes. I don’t think we necessarily choose to enjoy music which ‘pushes boundaries’, It’s just we come from a tradition where new and interesting ideas and personal expression are something to be valued. Having undergone numerous changes, such as downloading, digital production methods and a fall away from the production of vinyl, where can you see the production of music going in the future? I’ve no idea. I can’t see some formats lasting too much longer, but I do think physical products have value as artefacts. Is the flow of an album an important concept to you? You’re music experiments with both heavy darker qualities alongside animated melodies, is this contrast something you aim for? Yes, I find flow very important, and the album format is also important to me. It’s easy to lose sight of listening to a work in it’s entirety in these days of instant downloads. As regards my own music, I do have a penchant for quirky melodies, it’s just something inbuilt. Known by your many aliases, did you find it important to change up your style along the way? What releases have you planned at the moment and do you feel you’ve honed in on your style since you began? I only choose an alias when the album is already compiled etc. It was more something that was done in the 90s due to lots of different labels wanting to release my music and all wanting separate artist names. I do have a few albums on the go at the moment; a new µ-ziq album which I will play some of at Bangface, a compilation of old (90s) µ-ziq stuff (which I am not 100% happy with yet) and the Heterotic album which is a project with my wife Lara and the singers Gravenhurst and Vezelay. Seeing as “Bilious Paths” was your first album produced digitally how have you proceeded since then, do you have a preference for analogue or digital? You’ve gotten really into footwork lately, what is it about this style that you’re loving? Do you think a lot of electronic music is experimenting with different elements and styles of genres? Footwork is an energetic and exciting genre, at odds tempo and structure-wise with what was happening previously in european electronic music, it’s full of new and interesting ideas, … And yes, traditionally electronic music is sometimes seen as a vanguard for new ideas, but for the last 10-15 years, all music is made electronically whether it sounds like it (dance) or not (rock). I think the distinction isn’t important anymore, if it ever was. What can people expect from your Bangface set? Live or dj set? What influences your style today compared to back in the day when you first began experimenting? on Mike Paradinas (Planet Mu) | Interview.